I love to bake but I am an impatient person (my family can attest) and when I get the urge, I hate waiting to let the eggs and butter come to room temperature. 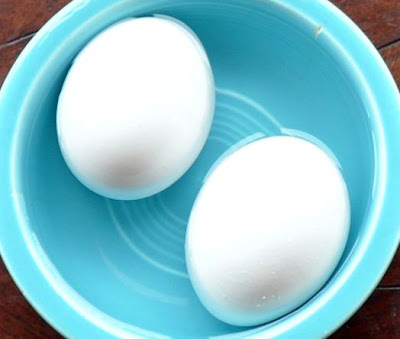 A quick fix is to put the eggs in a bowl with warm water and slice the butter up into small pieces and set on a plate while you are getting the rest of the ingredients out. 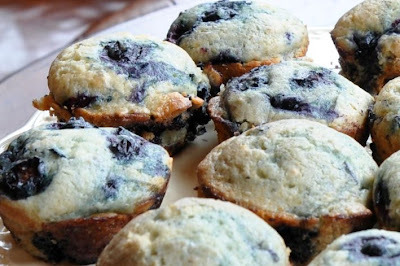 This is a great recipe to use frozen blueberries! Preheat the oven to 350 degrees. 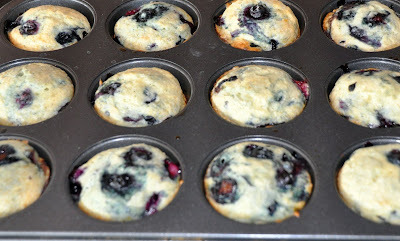 Grease (spray with cooking spray) 12 regular sized muffin tin. In a medium bowl sift together flour, baking powder, baking soda, and salt. 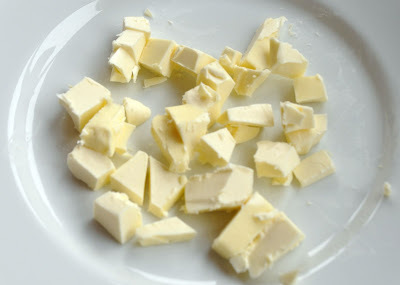 Using a hand mixer, cream the butter and sugar until light and fluffy, few minutes. With the mixer on low speed, add the eggs 1 at a time. 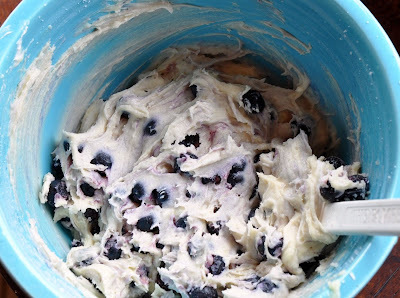 Mix in vanilla, sour cream, and milk. Don’t over mix. With the mixer on low speed add the flour mixture to the batter and beat until just combined. 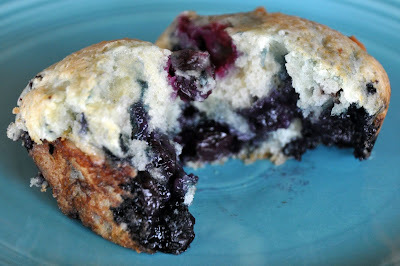 Fold in the blueberries with a wooden spoon or spatula. 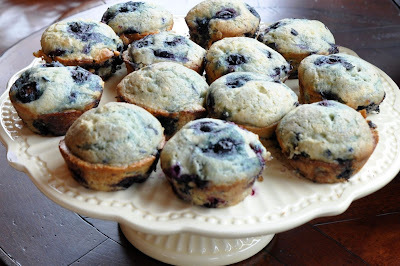 Scoop the batter into the prepared muffin tins, filling each cup just under the top. Bake for 25 to 30 minutes, until the muffin tops are golden brown and wooden toothpick comes out clean.